Fixed the bug affecting the coach and agent menu, that sometimes prevent from scrolling properly. Fixed the rebound indicator which did not appear on a few venues. Fixed a case where the player (or AI) would stop running to a drop shot even though there was enough time to catch it. Fixed a case where the player (or AI) would miss a ball that even though there existed a (complex) way to run and hit that shot. Fixed a case where the player (or AI) would not run to the best spot to hit the ball, running instead at a quite opposite direction. Fixed a case where the player (or AI) would start running automatically to a corner of the court when returning a serve. Fixed a crash when exiting an Exhibition match with Agassi or McEnroe. Fixed the manual Inside out button that did not work. Fixed set, match and tournament duration displayed in the interfaces. Most frequently encountered crashes fixed. Fixed a crash occurring when playing with a friend and with 2 custom characters. Fixed a crash occurring when switching rapidly through custom characters in « Play with friends » mode. Fixed the XP gained in online matches which was not correctly retained. Fixed the description of unlocking requirements for skills that are linked to a particular event: the unlock condition was displaying the wrong events. Fixed the display of spaces inside first names and last names. 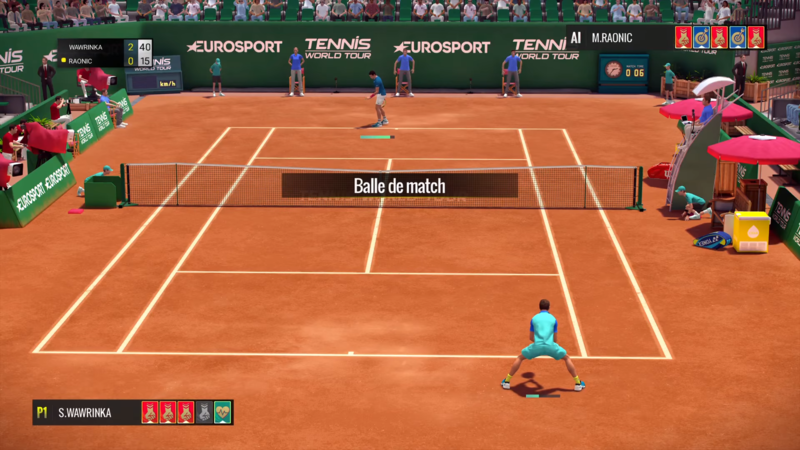 Fixed the missing display of drop shot and sprint buttons in the Tennis School lessons. Fixed a bug that would affect lobs by applying the same charge as the previous shot instead of taking into account the new charge. Fixed Dubai’s court limits which were slightly off, causing balls to be called out when they were, in fact, touching the lines. - Powerful strikes that allow you to punish opponents if they throw defensive lobs at you (often nicknamed “penalty” strikes). - Quick counters to add hard-hitting options when receiving a fast ball. Hundreds of animations have been adjusted to feel more dynamic. The inertia of many animations has been reduced to allow quick come backs in the rally. Added a new “3D View” to official players’ profiles that allows you to have a close look at their 3D models, outfits and animations. 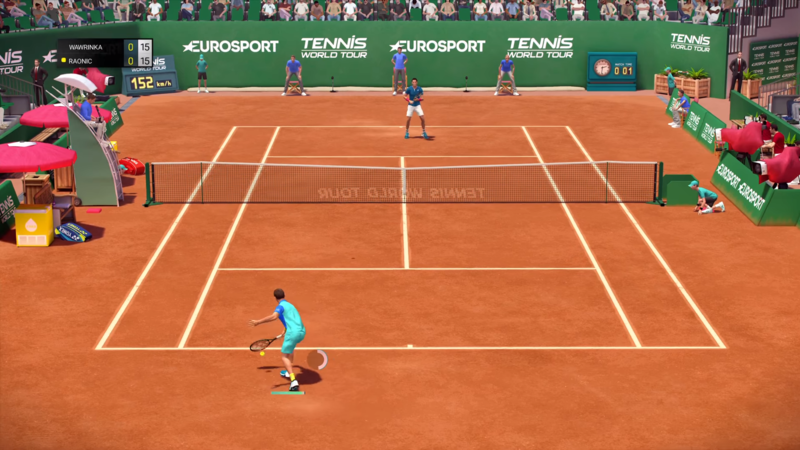 Players will automatically let the ball go out instead of volleying it when they are close enough to the bounce. New texture added for the clay courts’ grounds. Greatly increased the overall pace of the game. All shots have been reviewed and tweaked to provide higher ball speeds, and speeds that are better suited to stroke motion. Serves are more powerful and will pass the net at high speeds more often. Smashes & volleys are much more agile and easy to use, and smashes are much more powerful. Increased the sprint speed in all directions. Reworked the lateral slice: it will now be applied to inside-out sliced forehand shots. Reworked Madison Keys stats and skills to make her more of a hard-hitting baseline attacker. ATP/WTA players ranking and performance has been tuned to match their current real world ranking in the Career Mode. Opened 3-stars tournaments to players up to rank 20, making them more challenging. Better seeding for the top players in big tournaments. Up to 16 players will benefit from top-seed positions. New serve strategies for AI. 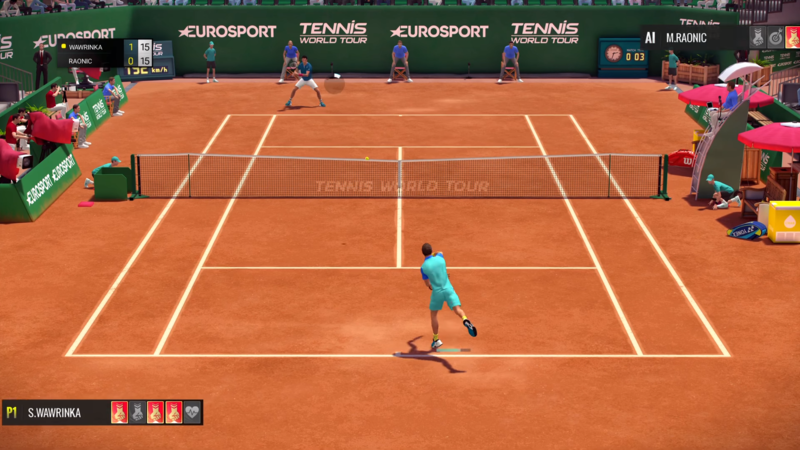 Tweaked AI’s response to serves, effectively enabling the player to serve Aces, especially on easy difficulties. Tweaked the AI’s use of lobs (depending on difficulty). Improved the AI’s behavior when a ball seems out of reach. The AI will react more aggressively when taken out of position or running to a dropshot.